Everest Base Camp is one of the most popular trekking destinations among locals and international tourists in Nepal. 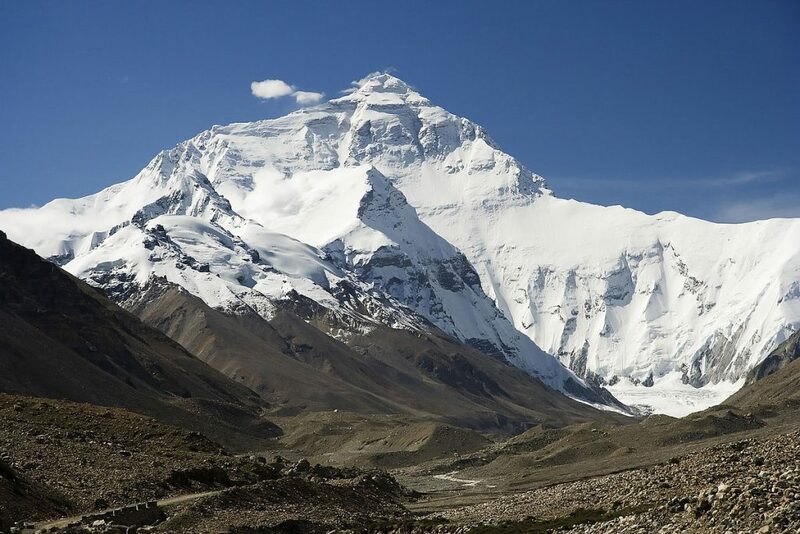 Standing at an altitude of 5,364m, Everest Base Camp is visited by thousands of visitors every year. 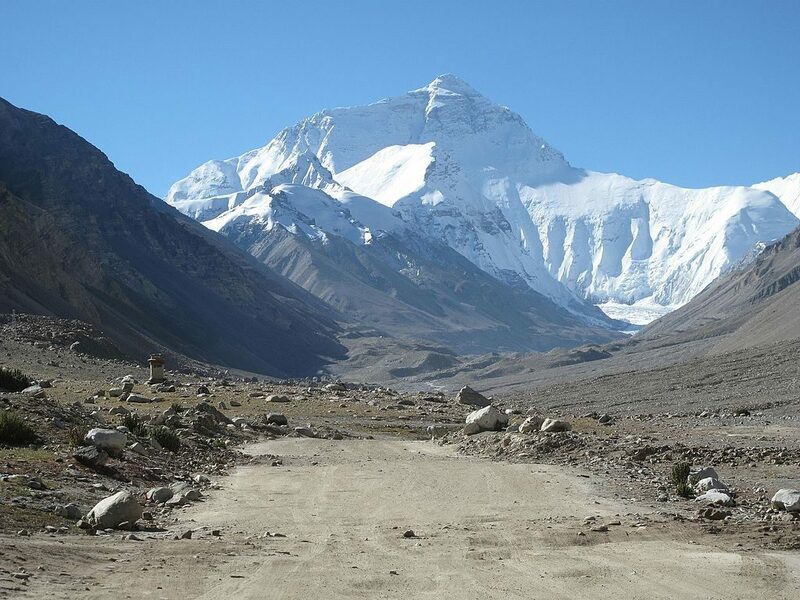 The highest elevation you can reach in this trek route is in Kala Patthar at 5,643m. Sharing the base of the world’s highest mountain isn’t easy, it is sometimes overrated for the trek difficulty, this isn’t true. You will require determination and willingness to get through, and it will be done. People of all age group have reached this place. If you have the zeal, then just know that You Can! As soon as you reach the nearest point to the glorious and tallest mountain – Everest, the breathtaking view will keep you mesmerized and you will forget all the pain and struggle you’ve been through, making your way up. 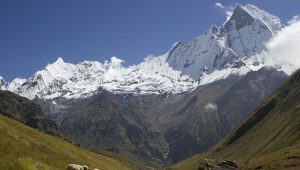 The weather of the trekking route is a determining factor that can affect your journey. Different type of people responds uniquely to different weather. Some might feel it difficult to walk in the sun, while others might feel hopeful on a sunny day. Cold can be a cause of allergy to a person while it can be a strolling stimulus for the next. So, before deciding which season to go trekking to EBC, you must also understand how your body functions in a different type of weather. Also, as altitude increases, the weather becomes equally unpredictable. Especially up in the mountains, it can be sunny at one time and the very next moment can bring dark clouds with rain and snowfall. The weather is actually very dramatic at higher altitudes. Therefore, it will be a wise decision to understand weather conditions during the season you are planning to pack your bags for the trip. Including clothes and other accessories that can fit all kind of weather can be a win-win situation. The trek begins after an adventurous and scenic flight from Kathmandu to Lukla. 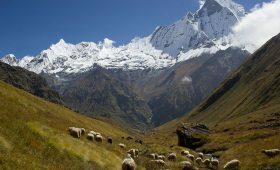 From Lukla, there are different routes that you can pursue depending upon your feasibility and the kind of adventure you are seeking from this trek. 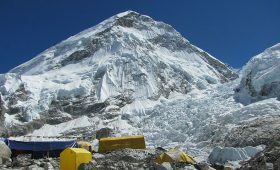 Everest Base Camp Trek is one of the most exciting treks in the Everest Region or Khumbu Region. Like everywhere, Nepal also experiences 4 different type of seasons, viz. Spring, Summer, Autumn, and Winter. The weather in Everest Base Camp ranges discreetly in different seasons. Although the snow caps are never hot, even during summer, you can expect the temperature to reach up to 25 degree Celsius during the day. While nights can be freezing cold with a chilling temperature of -20 degree Celsius. Also, this dry season receives very less amount of rainfall. While you can expect about 18 inches rainfall at the base camp during the rainy season. Spring is considered as one of the best time to trek in the mountains of Nepal. The months of March, April and May have a calmer and more stable weather. No doubt it is is also one of the busiest seasons over the year with huge crowd exploring the region. At this time, the temperature starts to rise from 10 to 20 degree Fahrenheit and the hurricane wind declines to around 5 or 6 mph. Moreover, the sky will remain pretty clear throughout the season. 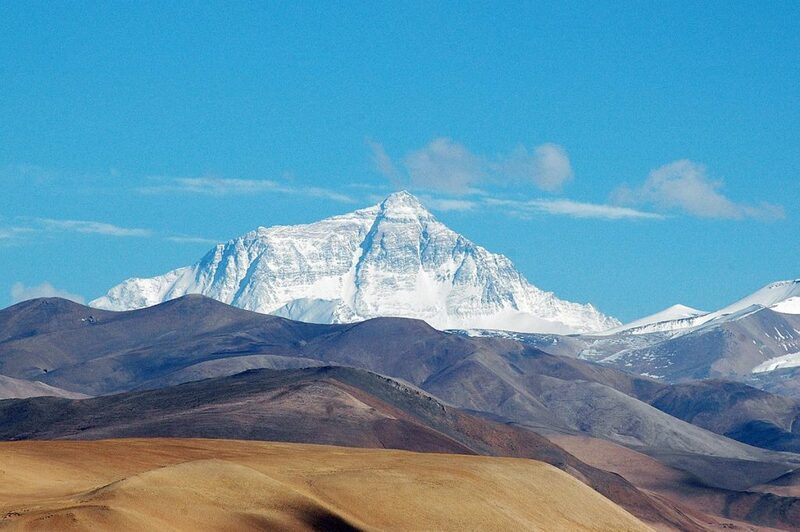 The expected average temperature will be 17 degrees Celsius during the day at above 4000m of altitude. 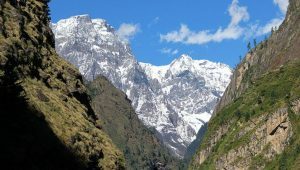 Moving higher through the altitudes, the temperature may reach a maximum of 25 degrees Celsius during bright sunny days and can drop down to -15 degrees Celsius at night and in the morning. You can see many trekkers this time of the year. This is the season of blossoms and the weather is great. In addition to great views of mountains, you can equally enjoy different species of flowers blooming along the trail in the lower altitudes. The rhododendron (national flower) blossoms gives you a delightful feeling. Their presence also adds beauty to the ambiance of the trail. The season is equally favorable for biodiversity. So, if you are a true admirer of nature, you can take your time to enjoy the different species of birds and animals along the way. Summer runs from June through August in Nepal. The monsoon rain is going to make trekking trails in the Everest Region wet and cooler. 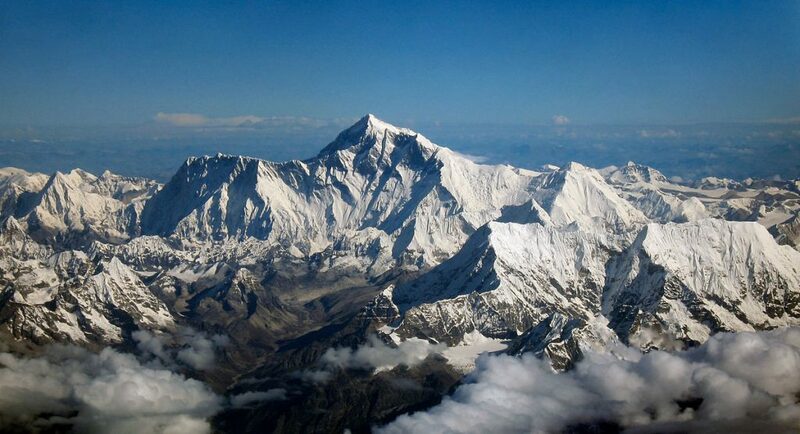 As compared to other seasons, summer is considered to be a less favorable season to trek in the Everest Region. Well, if you aren’t an admirer of the rain, you would know. 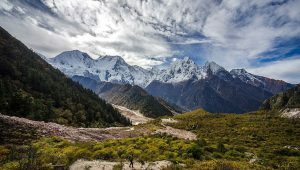 However, if you are an enthusiastic botanist, then this season might be the best time to closely study the characteristics of flora and fauna of the Khumbu region. You can expect most of the tea houses on the trekking route to offer you discounts this season. But, the number of hikers on the way will be very few. The trails are almost empty. However, if you are seeking for an adventurous trek, this season can be the best time for your fascination. The most popular and crowded time of the year at Everest Base Camp, Autumn is indeed the perfect time for trekking in this region. In Nepal, autumn runs from September through November. You can expect the weather to be most stable with clear skies this time of the year. The cloudless sky in autumn gives you an exceptional view of the mighty mountains. The chances of enjoying spectacular views of the amazing landscapes are equal almost every day. Having clear weather does not indicate that the temperature in Autumn is warm. Neither it is super cool as well. The temperature is moderate, making the trekking more comfortable. But for obvious reasons, the temperature at the higher altitude will be lower than that of the lower regions. 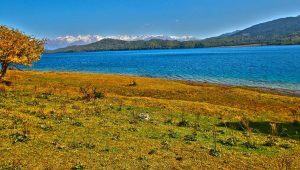 Because it is the most preferred season for trekking, you can expect quite a good amount of traffic in this region at this particular time. So if you do like the crowd, you are up for picking up great conversations. This is also a great time to consider uncommon routes that will take you through the unique track and unexplored scenes. Needless to say, pre-booking is absolutely necessary this season. Also, consider your backpack checklist to include suitable gear adjustable for all kinds of weather. Though the weather is generally clear, it is always safe to be prepared, you cannot really predict what’s next in line for you. The temperature in Nepal drops down this season and it gets colder starting from the end of November. 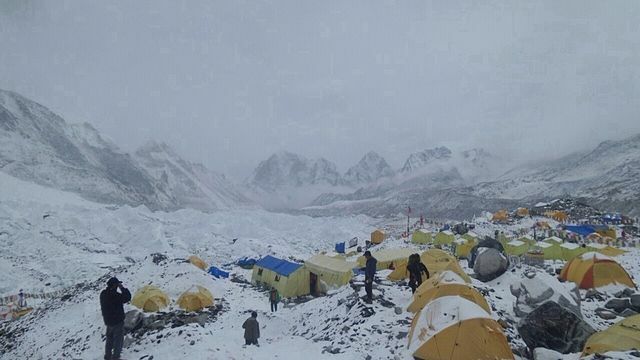 But the cold weather is not a hurdle to travel through the Everest Base Camp. You can expect the weather to be stable and dry at this time. If you are fully prepared with your gears, then you are going to get an amazing experience in the winters. The temperature will greatly reduce at night and in the morning at the Everest Base Camp. It is generally around -20 to -30 degrees Celsius. But the temperature at the lower altitudes, including the valley will be quite moderate and you can also opt for camping. During winters, the days are a lot shorter and the nights are longer and colder. Also, you can expect the humidity to remain low during the winter time. You can expect lesser crowd and traffic during winter in the region. The tea houses and lodges are almost vacant and you can grab some pretty amazing discounts and a focused hospitality. Also, you don’t have to wait for a long time for your meal. There are many trek trails that connects Lukla to the Everest Base Camp. However, the trek route that goes over the high passes such as Gokyo trail and Mera peak trek will remain closed during the winter. So it would be wise to take a common trail during the off- seasons. 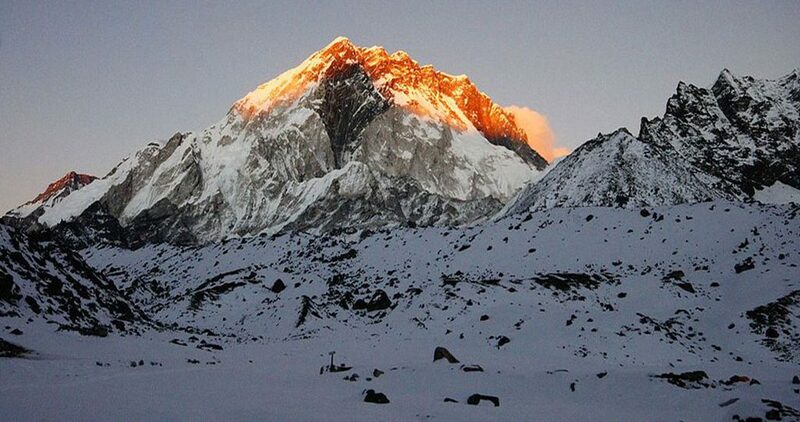 Everest Region will be dry and clear during the winters except for the mornings that may accompany mist and snowfall. Throughout the season, the peaks and the area encircled by the peaks will be covered with a thick layer of snow. So a clear day will give you a spectacular view of the region and snow-covered mountains. Winter is, undoubtedly, a trekking season with adventure and a lot of snow and chills. 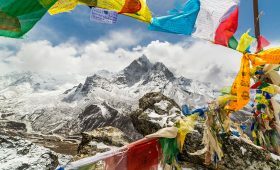 The best time to trek to the Everest Base Camp is explicit during the autumn and spring seasons. During this season, you will experience an ideal weather with an enthralling view of the mountains, making these two seasons the best around the year for the trek. In regards to the months, October is considered as the best month to trek to EBC. If you require any assistance in scheduling your trek trip, do contact us. We will provide you with the most flexible and feasible trekking experience, according to your requirements.